There’s not just one most expensive city this year, but three. According to the annual Worldwide Cost of Living survey by the Economist Intelligence Unit, the title of most expensive city is shared by Paris, Hong Kong, and Singapore—the first time in the survey’s 30-year history that three cities are in the top spot. The report looks at 133 cities and the cost of 160 items, such as food and drink, utility bills, rent, and transportation. Using New York as a benchmark, it determines whether prices for these items have gone up or down. 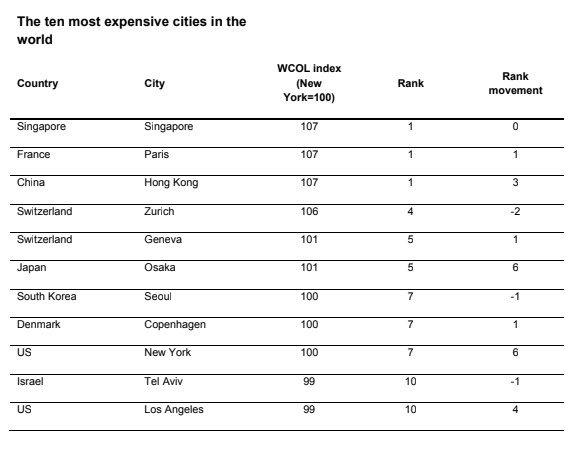 "We note converging costs in traditionally more expensive cities like Singapore, Hong Kong, Seoul, Tokyo and Sydney. It is a testament to globalisation and the similarity of tastes and shopping patterns. Even in locations where topping a grocery basket may be relatively cheaper, utilities or transportation prices drive the overall cost of living upwards." "More remarkable is the sharp climb up in the ranking of emerging economy cities – Kuala Lumpur, Bangkok, Manila, Phnom Penh and Hanoi – owing to last year's robust economic growth," she explained to Mashable SE Asia. 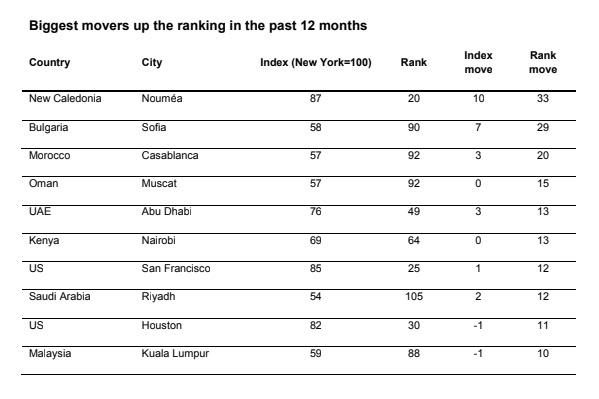 Of all the remaining Southeast Asian cities, Bangkok sits at the 41st spot. Hanoi, Vietnam and Phnom Penh, Cambodia are up by six places at 60 and 76 respectively. 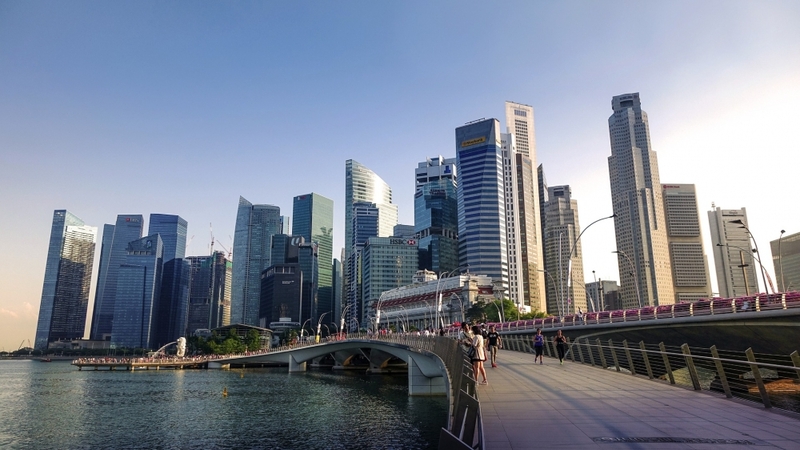 The survey observes that these Southeast Asian cities rose in their ranks thanks to their robust economic growth in 2018. Vietnam alone saw its GDP grow by 7.1%. Meanwhile, the most inexpensive cities to live in were comprised primarily of those suffering from political and economic instability, such as Caracas and Damascus, as reported by Fortune.